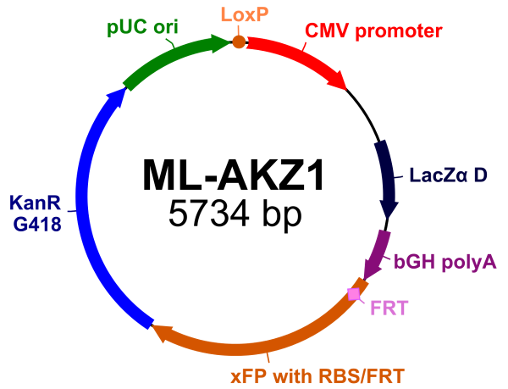 Proteins usually are no cellular loners but interact extensively with one another in stable or transient protein complexes (see e.g. Robinson et al., 2007). Thus, while studying them in isolation still has its merits, biomedicine is moving in the direction of studying the association of proteins with one another in multi-protein complexes under different circumstances, in health and in disease (e.g. Habermann and Lange, 2012; Neto and Gould, 2011). 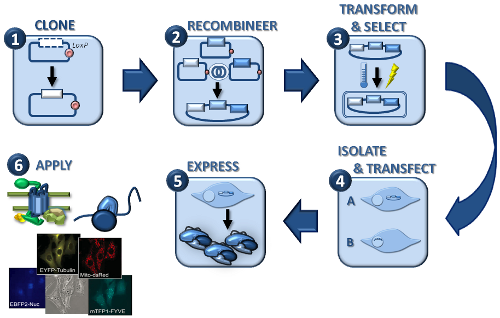 Many processes can be studied in situ with antibodies but for certain experimental questions generating the protein complex from transgenic expression constructs is a better choice. ATG now offers MultiLabel, a suite of vectors designed specifically for multi-protein expression in mammalian cells. Clone individual genes or multi-gene constructs into suitable acceptor and donor vectors (step 1). 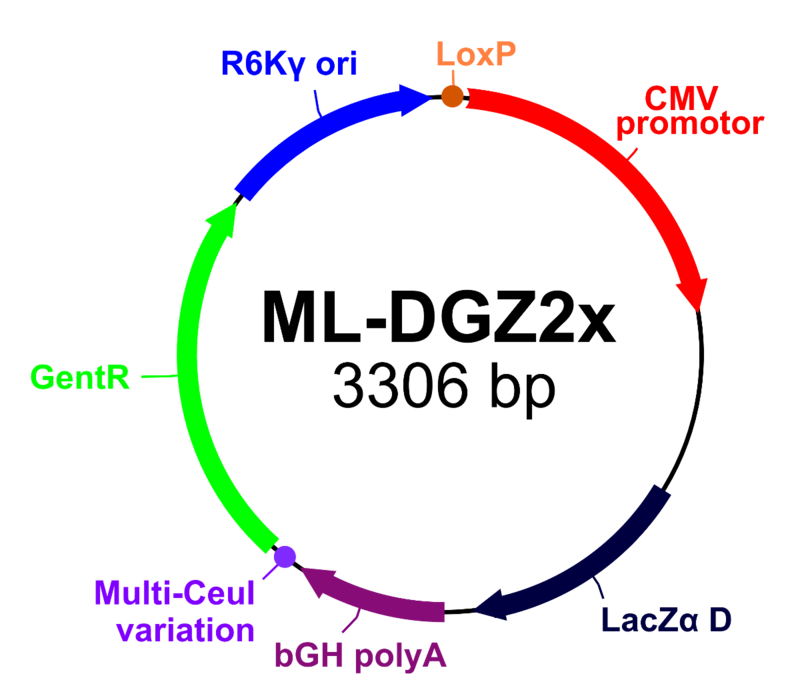 Recombine the individual expression plasmids into ONE multi-gene expression construct via CreLoxP recombination (step 2). 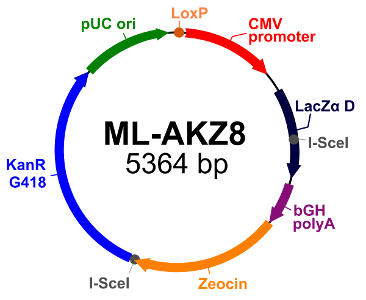 These constructs are then transformed into bacteria by chemical or physical means (step 3) for amplification and selection of correct constructs. Isolated, purified Plasmid DNA is transfected into mammalian cells either as circular plasmid (step 4, A, transient transfection) or linear DNA (B, stable transfection). 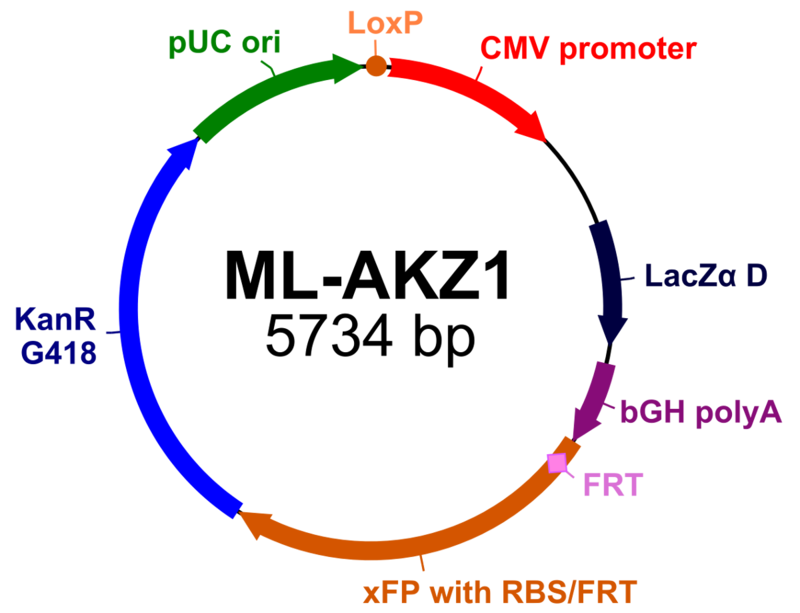 The tagged or untagged protein complex is then expressed (step 5) for various applications (step 6), such as expression of receptors and associated proteins (for drug targeting studies), cell-free translation, cell reprogramming, fluorescence tracking of proteins, etc. for structural investigations, protein tracking, elucidation of signal cascades, etc. A short video sequence shows how cells co-express proteins carrying different fluorescent markers and how that enables tracking e.g. subcellular localization. 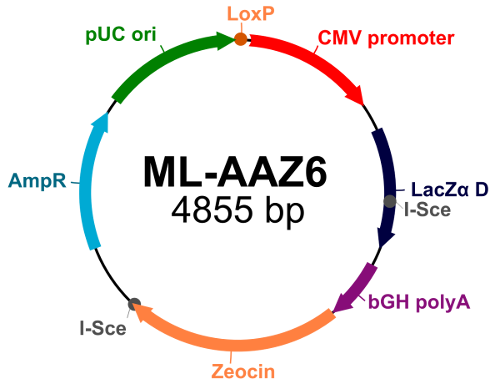 All acceptors and donors are equipped with the strong eukaryotic CMV promoter and a bovine growth hormone polyadenylation signal. Acceptors come with classical time-tested oris for replication in standard laboratory strains whereas donors sport the R6K gamma ori that allows replication only in strains expressing the pi protein (pir-positive). A loxP site allows building multi-gene expression constructs via Cre-Lox recombination. 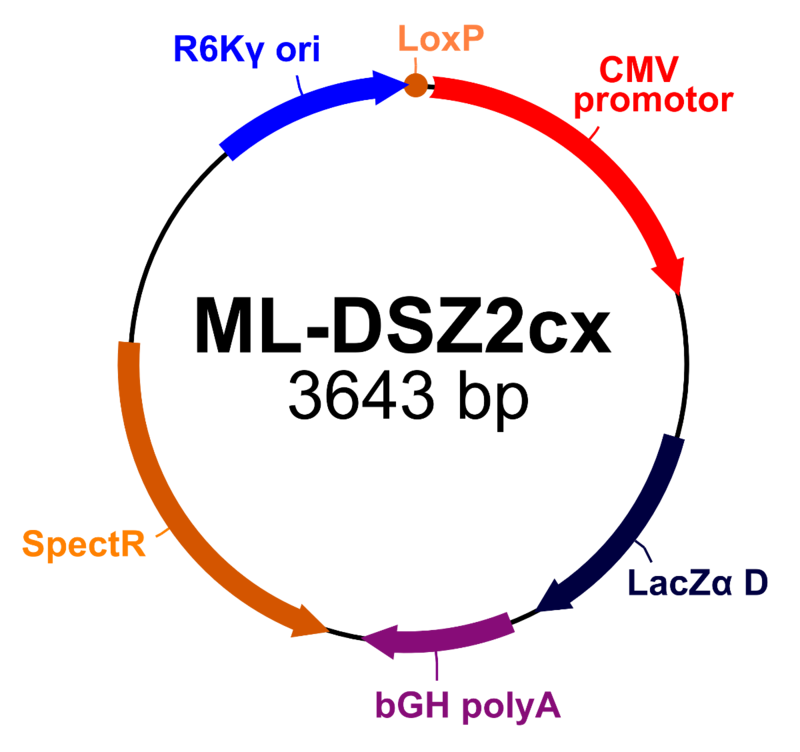 Vector-specific features add functionality for various applications, such as a combined kanamycin-G418 resistance marker that allows selection in transient as well as stable transfection set-ups. Also get a quick overview on the system in our quick reference sheet. If you require design, optimization or adaptation of your gene cassettes for multi-gene recombineering, use ATG's expert bioinformatics service!